YouStamps are a unique way to personalise your mail. They’re created by printing your own photograph beside a postage stamp on a sheet (see above). There are 3 themes to choose from: Rock of Gibraltar; Moorish Castle & Wedding). 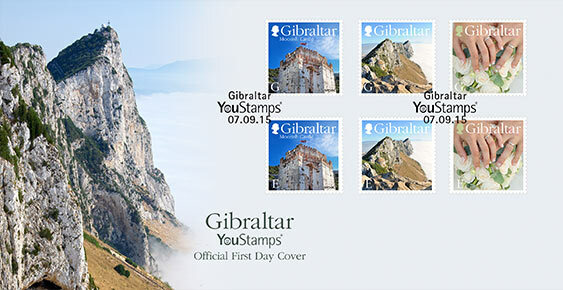 The YouStamps are composed of a set of 3 x G (Gibraltar postage rate) stamps and 3 x E (UK & Europe postage rate) stamps. Three sheetlets (A4 size) of 20 stamps each (20 sets) complete the issue.